Today seems to have been Bring Your Pet to Work Day in France. 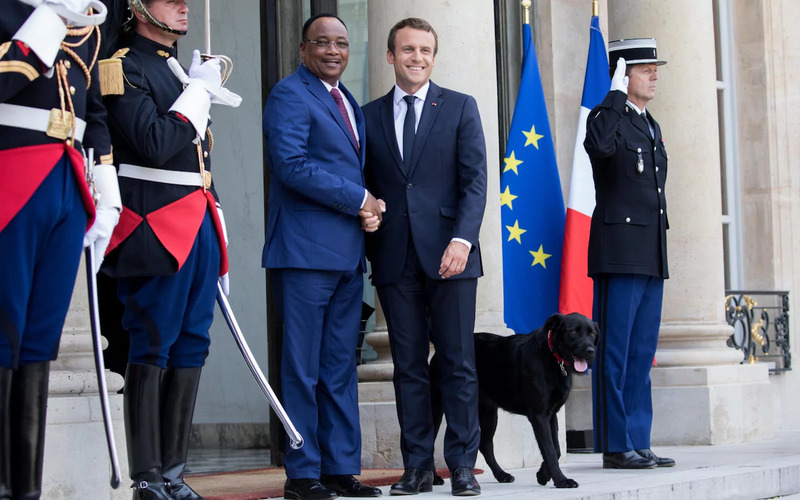 French President Emmanuel Macron’s dog interrupted his meeting on inner city development by “doing something quite exceptional” right on a fireplace in the Elysee Palace. Macron and his wife Brigitte adopted France’s first dog, Nemo, back in August. Nemo is likely named after Captain Nemo in Jules Verne’s Twenty Thousand Leagues Under the Sea. Verne is from the same town as Macron, and that is one of Macron’s favorite books. Nemo has behaved himself in the past, such as when Niger’s president visited France, so this behavior is quite out of character. In fact, Macron told his assembled ministers that they “have caused my dog to behave in a totally inhabitual manner,” before continuing on with his meeting as if nothing had happened. Ex-president Nicolas Sarkozy’s dogs chewed and scratched priceless furniture, carpets and soft-furnishing at the palace, causing tens of thousands of euros worth of damage. Jacques Chirac, who was head of state before Sarkozy came to power in 2007, had to give away his Maltese Bichon after he moved out of the Elysée after the dog attacked him several times – reportedly because it was depressed at having to move to smaller living quarters.